Some advertisers are paying much higher rates than others for the identical programming on local television and radio. And it’s not always because advertisers with large budgets have greater leverage or buying power than small budget advertisers. 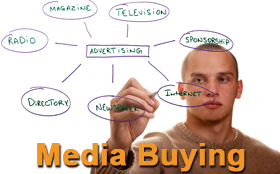 Most often it’s because some advertisers have professional media buyers and some don’t. Advertisers with small budgets can get rates just as low as the biggest spender in town if a pro is buying their media. Small businesses that advertise on television or radio without the advice of a professional media buyer are almost certainly wasting money. If you don’t have long term media buying experience and you’re not shopping, buying and negotiating media buys on a routine basis you can’t know everything you need to know to make efficient buys. Their job is to sell each and every spot for the highest rate possible. Their management expects that. Simply demanding lower rates or holding out until they offer a lower rate isn’t all there is to it. Professional buyers know what rates are negotiable and when they’re negotiable. A buyer who is in the market every day can identify nooks and crannies in ad inventory where demand has not caught up to value.